contest reminder! 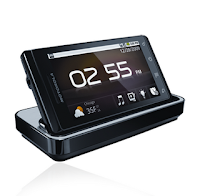 win a droid multimedia docking station! wanted to start the week off by reminding everyone of our current contest which ends this friday! yep that’s right, you are running out of time to enter in and win a droid multimedia docking station! 3. feel free to subscribe to our feed for exclusive contest notifications. 4. and don’t forget that we have a facebook page! this friday, march 5th, we will direct message the winner via twitter!